I think the moon and stars have finally aligned! You see, I NEVER win anything! But hopefully my luck has changed. 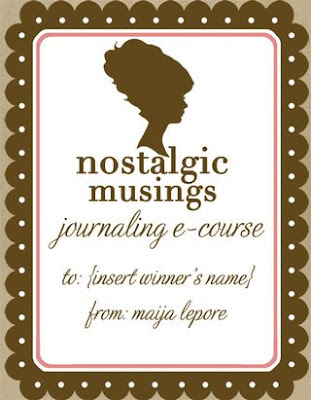 MAIJA LEPORE had a giveaway and I WON!! I think she said... WINNER, WINNER, CHICKEN DINNER! I needed to pinch myself!! The right pen is really important to get a really crisp look. Yep, I believe she found it... Did I tell you, I won it??? Maybe you would want to take the e-course too! I'm over the moon with excitement!! You should really go over to her blog and check her out. Isn't he just precious?? So I have to pass this award onto 15 other deserving bloggers. Trust me, it was so hard to pick just 15!! You should ALL be getting an award if it was up to me!! and has a lot of things to share with you! 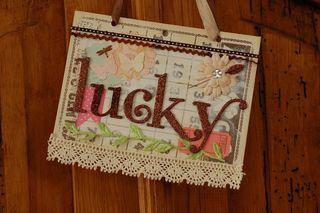 Maybe you're on a lucky streak too!! Thank you for the lovely award Gail!! I am thrilled!!! Awwww what a wonderful surprise and so sweet of you. Thank you so much!!! I am so delighted that you would think of me! I am excited for your wins and the great honor given to you from also my dear friend Kim at White Whispers to you... 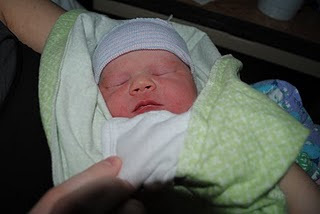 I was given one by Kim as well when I first started blogging and it was a great feeling. Now to be honored by you, well I am even more grateful that out of the blue someone with a great blog site would look at mine as something to be inspired by. Thank you for adding me to your blog award of great inspiring bloggers. First,congratulation for the lovely gift you won and for the award which is highly deserved!How great is that?then, Thank you so much for your visit to my blog, for following me and for your so kind words! You made my day!and last but no least, thanks a million for the award, I'm so honored and so glad to have met you! Your blog is adorable ! 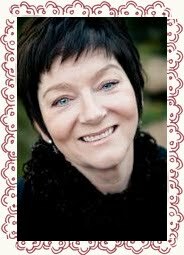 I'm your newest follower..
Hello Gail.....congratulations with your won give away ...and with your award !!! 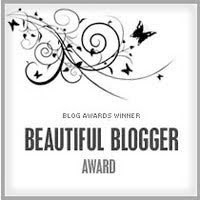 You deserve it your blog is so beautiful! Have a happy evening hugs from Ria..
Wow...that is a good run of luck! Congrats to it all! Thanks for including me...made my day! I was totally going to host the exact same giveaway. I am taking Hope's class, and I adore it. Adore her too. She is so creative and a totally wonderful teacher. You will love the class, so get started quickly! 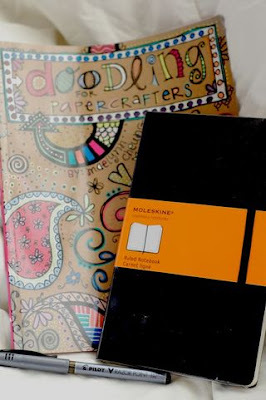 And, your daughter is going to love your new doodling book, I am always have to fight my girls to get mine back. I should have ordered two copies. Enjoy your journal, the class and the book. And Maija is so right, you must have the right pen! Sometimes if I don't like what I am doing, I just switch pens and then all is good! YEAH! I am so glad you won such an awesome prize! Kate will have green eyes with envy. She is actually in that online class & I know she LOVES those goodies. But I am sure she will be glad YOU won! Take care! I know you will create even beautiful doodles!